Straight coat, with bias front and concealed snap closing, has bracelet length raglan sleeves and pockets in seams. Trim stitching. Pattern is complete. Several pieces are neatly cut; mostly uncut. Envelope is in very good condition. 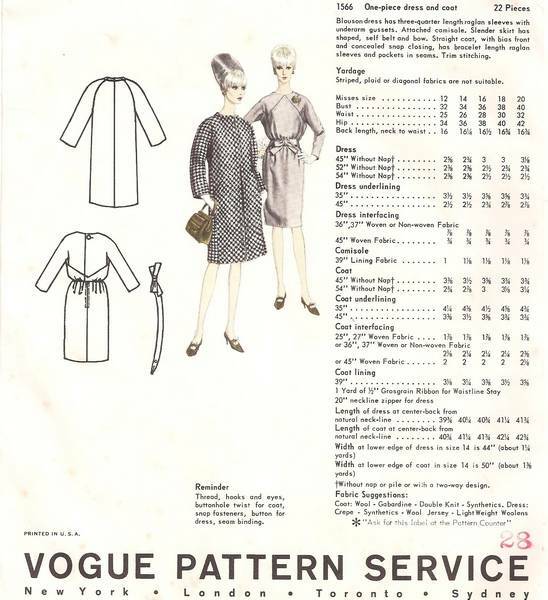 Featured in the Feb/March 1966 issue of the Vogue Pattern Book.